If current candidates fail to win a majority of delegates, a new Eisenhower may emerge. 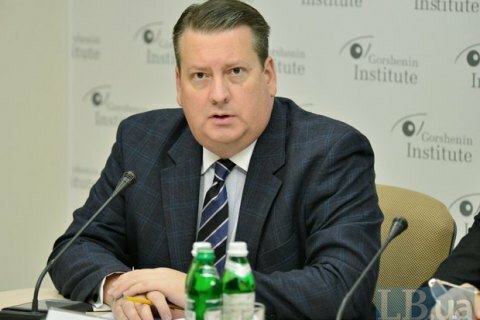 "US presidential campaign: trends, forecasts and impact on US-Ukrainian relations" at Gorshenin Institute. "She is almost 700 delegates ahead of Bernie Sanders, and she needs another 600 delegates to win," said Mefford. And it is likely that she will get these votes in the coming weeks, because ahead of her are big states like New York (which she represented as a senator), and Pennsylvania. In the Republican camp the situation seems more complicated, the consultant said. "At the moment, Trump has almost 750 delegates, while Cruise has 550. It is also important that there are over 300 delegates who supported other candidates, including Marco Rubio, who dropped out of the race, and Kasich who is still running," Mefford said. He also stressed that the choice of a candidate in the Republican Party is complicated by the fact that in some states there is a system of "winner takes all", while the number of Democratic delegates id allocated proportionally. He recalled that 1952 saw a situation where none of the candidates gained a majority of votes in the primaries, and as a result the party put up another person - General Dwight Eisenhower. "Therefore, the question is whether the Republicans will choose one of the current candidates, such as Trump or Cruise, or they will find the new Eisenhower to put him or her against Clinton," Mafford said. The US presidential elections are scheduled for 8 November.